Click here for Part I of our report series on Developments in Flushing Meadows Corona Park where we journeyed back to the Corona Ash Dump, immortalized in the Great Gatsby, and later transformed into a World's Fair utopia by Robert Moses, Fiorello LaGuardia and the 1939 World's Fair committee. The 1939 World's Fair attracted over 40 million people, but lost over $100 million, as it opened the year Nazi Germany beganinvading its European neighbors, and while Japan was busy invading China. Nonetheless, in spite of a financial failure for the 1939 World's Fair bondholders, the fair had enabled NYC and Robert Moses to complete phase one of his vision to transform the Corona Ash Dump into NYC's premier city park, and build a whole new network of highways around it. 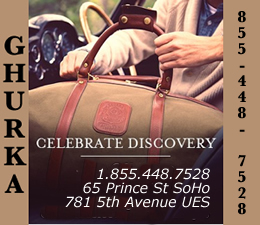 We resume our story, after WWII, as a young lawyer in Brooklyn began working for the Brooklyn Dodgers. The Dodgers played at Ebbets Field just east of Prospect Park in what is the now Crown Heights neighborhood of Brooklyn. 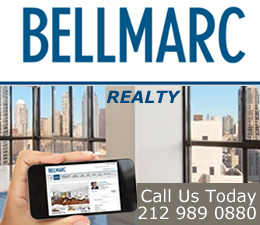 The year is 1943 as a 40 year-old lawyer, Walter O'Malley, leaves the Brooklyn Trust Company where he had oversight responsibilities for troubled companies, including the Brooklyn Dodgers. January 21, 2013 / Queens Neighborhoods / Bronx Neighborhoods & Bronx History / Bronx Art & Culture NYC / Queens Buzz NYC. Continued. Bear in mind, that this reportorial series is being published while a number of large, well funded, private interests are working with city and state government officials to expand their acreage or square footage footprint in Flushing Meadows Corona Park; or in the case of one of the entities, to establish a new 13 acre footprint right in the heart of Flushing Meadows Corona Park. Two of the four proposals have been submitted by sports franchises that already have their own stadium(s) in Flushing Meadows Corona Park [the New York Mets & the United States Tennis Association (USTA)]. And a third entity, Major League Soccer (MLS), has submitted a proposal to erect a new stadium on the park grounds just east of the Unisphere. Keeping these modern day sports franchises in mind [the Mets, the USTA and MLS], we travel back in time to 1940's Brooklyn & Queens. And our two major players are NYC City Planner Robert Moses, and Walter O'Malley, the soon-to-be owner of the Brooklyn Dodgers. O'Malley became the Brooklyn Dodgers VP and General Counsel in 1943, replacing Wendell Willkie, a one time candidate for U.S. president whose health was failing. Within two years, O'Malley, Dodgers President Branch Rickey and John L. Smith control 75% of the Brooklyn Dodgers stock, having purchased it primarily from the estates of the former Dodgers owners Ed McKeever and Charles Ebbets. In 1946 O'Malley begins making plans for a new ballpark either by renovation of Ebbets Field in Brooklyn, or for construction of a new stadium in Brooklyn. In 1950, O'Malley becomes majority stockholder and president of the Dodgers, after buying some of Branch Rickey's stock. 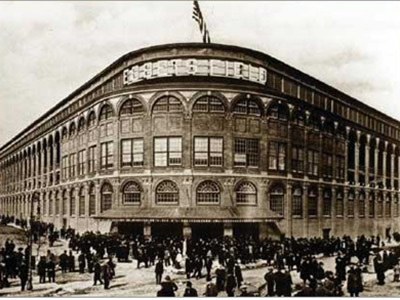 Ebbets Field was built in 1912 - 1913 by Charles Ebbets, the Dodgers owner who was also a trained architect. Ebbets Field had a seating capacity of 23,000 and parking for 700. By 1946 the stadium had become dated. And so for the next decade, O'Malley sought to find a new site upon which to build a new baseball stadium in Brooklyn. 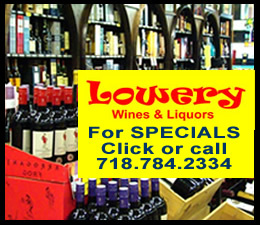 O'Malley began focusing his attention around the intersection of Flatbush and Atlantic Avenues in Brooklyn because this location was near NYC subways and a branch of the LIRR. O'Malley asked Robert Moses, NYC's City Planner, for assistance in assembling the large plot of land so he could build a new stadium in Brooklyn. But Moses thought that Flushing Meadows Corona Park in Queens would make a better site for a new stadium. 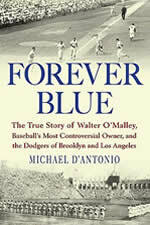 According to Michael D'Antonio, author of Forever Blue: The True Story of Walter O'Malley; Moses thwarted O'Malley's effort to build a stadium in Brooklyn. O'Malley's plans for a new stadium in Brooklyn centered around public transit access, which conflicted with Moses' plans to develop the auto roadways around eastern Queens and Long Island. In an interview with the New York Times, D'Antonio characterized Moses as a "car guy". Moses tried to sell O'Malley on the idea of building a stadium in Flushing Meadow Park [as it was then called]. After efforts by both men to negotiate terms of a deal, O'Malley accepted an offer from the city of Los Angeles, and departed with the Brooklyn Dodgers in 1957. According to reports, in addition to disagreement over the site location, the two titans differed over how the deal would be structured. Moses had tried to negotiate continued NYC ownership of the land and revenue sharing with the city; while O'Malley wanted the Dodgers franchise to own the land, paying only taxes on the property as well as franchise profits [verifying]. Moses fought for what he thought was best for the city, while O'Malley fought for what he thought was best for the Dodgers [whose colors were primarily blue - hence the book title]. Brooklyn never forgave O'Malley for moving the Dodgers to Brooklyn, which is the thesis of D'Antonio's book: Forever Blue. According to D'Antonio, there are several reasons for the decades-long vilification of O'Malley by Brooklyn Dodger fans. 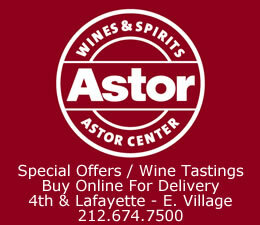 D'Antonio claims that the Brooklyn Dodgers had, in some senses, become America's team long before that moniker was used. Fans unusual loyalty to the Dodgers came in part from the Dodgers' image as an underdog team having gone to the World Series several times and lost. And the team earned a reputation for its courage in breaking through the color line by being the first Major League Baseball franchise to hire an African American player. Brooklyn Dodgers President Branch Rickey hired Jackie Robinson in 1947. D'Antonio states that there were other, less tangible, reasons too. In 1948 Brooklyn's trolley line was closed down. And in 1955, the year the Brooklyn Dodgers won their first World Series, Brooklyn's daily newspaper, the Brooklyn Eagle, closed its doors. "White flight" to the Long Island suburbs had been underway since the end of WWII, where Dodger fans began watching baseball games in the comfort of their homes on TV. Hence, in spite of the Dodgers' successes on the field - including their first World Series win - ticket sales were down versus prior years and versus far less successful ball clubs. O'Malley believed that Ebbets Field, a stadium that seated 23,000 people with only 700 parking spots, compromised the future of the Brooklyn Dodgers franchise. He noted that the Boston team had moved to Milwaukee, Wisconsin; where that team had attendance of two million fans in the same season that the World Series winning Brooklyn Dodgers had an attendance of only one million fans in NYC. So two years after defeating the New York Yankees and winning their first World Series pennant, the Brooklyn Dodgers moved to Los Angeles and went on to win two more World Series pennants before the end of the 1960's. Adding to the hurt, the other NYC National League team [the New York Giants], also quietly moved west to San Francisco that same year, leaving NYC with only one baseball franchise: the American League Yankees. Most sportswriters of the day blamed O'Malley who was vilified for decades. Even to this day, some 50 plus years later, O'Malley is jeered in some parts of Brooklyn. But the D'Antonio book takes a revisionist look at history, and shifts some of the responsibility for the Dodgers move to LA, onto NYC City Planner Robert Moses. As stated previously, Moses wanted the Dodgers to move to Queens to a stadium he would build for them in exchange for a revenue / expense sharing agreement between the city and the Brooklyn Dodgers [parking & concessions, etc - checking]. Walter O'Malley: Evil Owner Or Baseball Visionary? In 1957 St Louis was the western-most Major League Baseball team. O'Malley convinced the New York Giants National League team to move west with the Dodgers so that the two teams could continue their National League rivalry. The two moves done in tandem, would also make it such that Eastern and Midwestern teams - after making the long trek west to California - could play multiple games with the two franchises, hence making the long trip worthwhile. While most sports writers of the day vilified Walter O'Malley for moving the Brooklyn Dodgers team to Los Angeles; today he's seen as something of a sports franchise visionary. In addition to supporting Branch Rickey's hiring of Jackie Robinson in 1947, O'Malley is credited with moving Major League Baseball west and south of St. Louis, thus making Major League Baseball a truly national sport. Since then, many national sports franchises have moved from one city to another in search of a better deal. In 1958, one year after losing both National League Baseball franchises, NYC Mayor Robert Wagner asked lawyer William Shea to chair a committee to bring a National League Baseball team to NYC. After several overtures to existing teams and a request to the National League to create an expansion team; Shea and Branch Rickey [former president of the Brooklyn Dodgers] began organizing the formation of a third league. The National League Baseball capitulated and NYC became home to the NY Mets in 1962. The Mets began playing in NYC in April 1962 and in Shea Stadium in 1964. They continued to play in Shea Stadium until October 2008. In 2009 the Mets started playing at the new CitiField Stadium which was built next to Shea Stadium in Flushing Meadows Corona Park in Queens. The New York Jets National League Football team also played at Shea Stadium from 1964 - 1983, after which they moved their games to MetLife Stadium in East Rutherford, New Jersey. Relative to this report series, it's worth noting at this point, that there's a modern day precedent for the co-habitation of two major league / national sports franchises sharing the same stadium in NYC. For 19 years - from 1964 to 1983 - the NY Mets and the NY Jets played their home games in Shea Stadium. The owners of the Mets have publicly expressed an interest in working with Major League Soccer [MLS] to help them make CitiField their home stadium. It's also worth noting that MLS has sponsored several summer soccer matches which have been hosted at CitiField over the past few years. In 1959 NYC Mayor Robert Wagner met with a small group to discuss hosting another World's Fair in NYC. They chose Robert Moses to preside over it, given his effectiveness as a city planner and his experience with the 1939 World's Fair. Moses saw this as an opportunity to further enhance Flushing Meadow into a park rivaling Central Park in Manhattan. So in tandem with the building of Shea Stadium, he set about organizing the 1964 World's Fair. "My Uncle Tony loved the World's Fair. Between my other uncles and him I easily went at least a dozen times over 1964 and 1965. 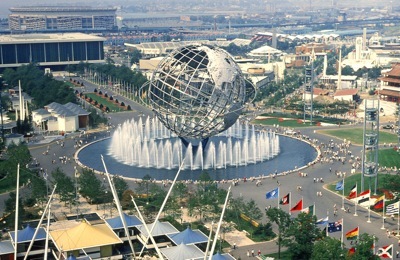 The Unisphere was at the center of the Fair. He must have taken this from the observation towers of the New York State pavilion. In the background left is Shea Stadium with the El running in front of it. Pretty sure this was taken with his Leica." In the 25 years since the 1939 World's Fair, a World War had been fought, the atom had been split and used in bombs, televisions had proliferated throughout America, a cross country super highway system had been built, business systems / computers were coming of age, and outer space and deep sea exploration had begun. After WWII ended, returning African American GI's began asserting their civil rights as outlined in the Constitution and further supported by the 13th Amendment. They began demanding the same respect and treatment under the law given other ethnicities. Racial unrest became one of the most pressing issues of the time, and in July 1964, the Harlem riots spilled into the streets of New York City following the shooting of an African American youth by an off duty policeman. Adding to these troubles, the 1964 World's Fair was not endorsed by the BIE [Bureau of International Expositions], the official governing body of World's Fairs, because no one nation was to host more than one World's Fair within a ten year period. The U.S. had been designated the host of the 1962 World's Fair in Seattle, Washington; and Montreal, Canada had been designated the host the 1967 World's Fair. As a result, many of the 58 nations that had participated in the 1939 World's Fair did not participate in the 1964 World's Fair. Hence both the absence of the BIE certification, and racial unrest in NYC, had a dampening effect on attendance of the 1964 Worlds Fair in a manner similar to the dampening impact on attendance that the impending Second World War had in 1939 - 1940. The 1964 - 1965 World's Fair attendance was projected to be 70 million versus the 40 million of the 1939 - 1940 World's Fair. Like the previous World's Fair, this one would fall far short of its forecast, as 26 million attended in 1964 and 25 million in 1965. It's a bit unclear as to how much the fair cost, but NYC lost the $24 million it originally invested, and I believe bondholders and / or NYC lost about another $20 million by the time the dust settled. Tickets were $2 in 1964 and $2.50 in 1965. The internationalism of the 1939 - 1940 NYC World's Fair was largely absent. And the science and new home gadgetry associated with the World of Tomorrow was now commonplace in many homes. The new technologies of the time, nuclear energy, space exploration and mainframe computers, were more applicable to government and industry, not consumers, and as such the 1964 World's Fair didn't have the 'gee whiz' factor characteristic of the 1939 NYC World's Fair. American pop culture made its way onto the 1964 World's Fairgrounds with plays like Godspell, African American jazz and a Beatles concert was held nearby at Stadium in August of 1964. Shea Stadium was also the site of the 1964 MLB All Star Game which it will host again in 2013. The Singer Bowl of the 1964 World's Fair would later be named the Louis Armstrong Stadium, and eventually became home to the United States Tennis Association [USTA] in 1978. The 1964 NYC World's Fair was designated to celebrate the 300th anniversary of the founding of New York City in 1664. 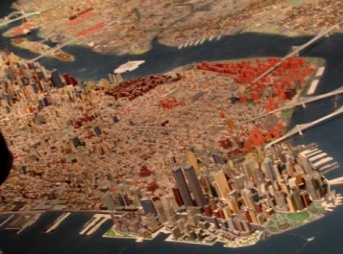 To that effect, Robert Moses commissioned the creation of a miniature model of all five boroughs of New York City, which still stands to this day in a perpetual exhibit at the Queens Museum of Art. The NYC Watershed Relief Map had been built for the 1939 World's Fair. This maps shows the topography and design of the NYC water system, including its portfolio of large reservoirs and aqueducts that provide the city its water using mostly gravity. Due to the impending war in 1939, government officials decided not to show the exhibit. But it was shown at the 1964 - 1965 NYC World's Fair. The Watershed Relief Map, like the miniature map of NYC, is also on perpetual display at the Queens Museum of Art. Compared to the 1939 World's Fair, there weren't nearly as many infrastructure projects tied to the opening of the 1964 - 1965 NYC World's Fair. Queens was no longer the open space it had been twenty-five years earlier; as the growing metropolis of NYC had expanded eastward using the infrastructure completed in preparation for the 1939 World's Fair. But that said there were a few infrastructure projects tied into the opening of the 1964 World's Fair, included taking the northbound Flushing River underneath into tunnels. The Flushing River opened into Flushing Bay. 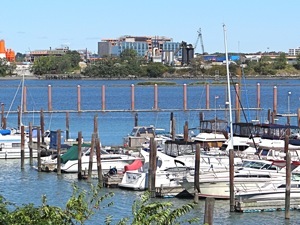 The Flushing Bay waterfront along the northern rim of Corona was also developed into a harbor where some 600 [check] boats were able to dock. A waterfront administration building was built along with a number of tented standalones. The standalones were torn down after the 1965 NYC World's Fair, but the World's Fair Marina Administration Building was converted into a catered event hall. A stretch of the Van Wyck Expressway was also completed, and some renovations and additions to LGA and JFK Airports were also completed. 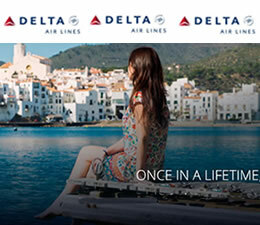 But I don't know whether the airport upgrades were directly tied to the 1964 NYC World's Fair effort. The large American Corporations that had participated in the 1939 World's Fair returned to participate in the 1964 World's Fair. 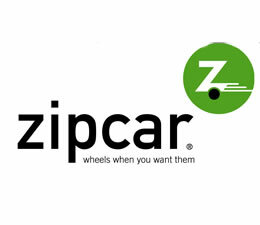 This time, however, they didn't have the kind of break through visions or consumer gadgetry announcements to make that they had in the late 1930's. In the 1950's the Eisenhower Administration built the super highway system envisioned in the General Motors Futurama exhibit at the 1939 World's Fair. The first public television broadcast of the 1939 World's Fair was now commonplace, as TV sets had been purchased by a majority of American households [check]. Robots, first introduced in 1939, hadn't really evolved much. And while IBM computers had evolved, in the early 1960's they were still used largely by large corporations and government for scientific / complex calculations, or in corporate back offices for data processing. The exciting science of the early 1960's centered around space and sea exploration. The U.S. Space Agency hosted a two-acre exhibit including a rocket and engines. What remains of this exhibit is now shown at the NY Hall of Science on the western perimeter of Flushing Meadow Corona Park. The 1964 World's Fair also built a heliport, which is today Terrace on the Park, a restaurant / catering facility for all sorts of events, and also located on the western perimeter of Flushing Meadows Corona Park. 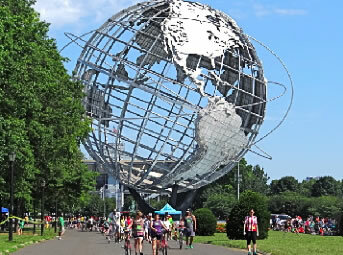 U.S. Steel Corporation built the Unisphere to celebrate the World's Fair theme of "Peace Through Understanding" dedicated to "Man's achievement on a shrinking globe in an expanding universe". The theme can still be found on a plaque near the globe. And the famous architect, Philip Johnson, built the New York Pavilion, a circular tented structure that still stands today - likely because he became a world renowned architect and it was subsequently added to the National Register of Historic Places. The pavilion stands next to the Queens Theatre in the Park. 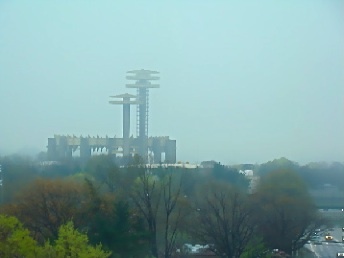 The nearby Observation Towers [closed] had been observation decks for the World's Fair. The 1964 World's Fair had an elevated train that circled the park through which passengers could view the grounds. Disney became a major player at the 1964 World's Fair, which became a prelude to their amusement parks. They set up five exhibits for other companies using some of their technology and characters. There was talk, at the end of the fair, of Disney establishing a theme park in Flushing Meadow Corona Park, but it never went beyond talk. Disney erected Disneyland in Orlando, Florida in 1967 and Disney World in Anaheim, California in 1972 [Check dates]. 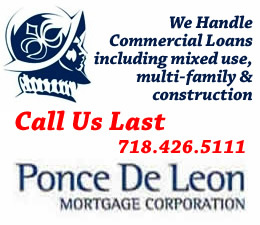 The large infrastructure projects, like taking the Flushing River underground, completion of the Van Wyck Expressway, and the creation and enhancement of the Flushing Bay harbor continue to this day. Following the 1964 - 1965 NYC World's Fair close, many of the structures were kept intact by the NYC Parks Department. And many of the expensive exhibits created by corporations were also preserved, but shipped off to other destinations. Today, the Unisphere remains at the center of the park. 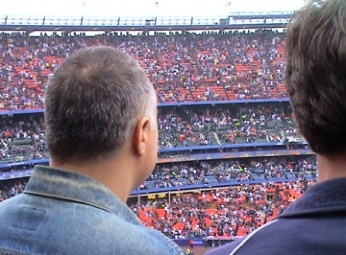 Shea Stadium remained up until its replacement by CitiField in 2008. Queens Theatre in the Park, the Observation Towers [closed to the public] and the Philip Johnson's NY Pavilion [closed] all continue to stand to this day. Queens Theatre in the Park completed a major renovation in 2010. The NY Hall of Science is what remains of the U.S. Space exhibit. And the 1964 - 1965 NYC World's Fair heliport is now Terrace on the Park. The World's Fair Marina Administration Building is now the World's Fair Marina building, an event hall and catering facility. 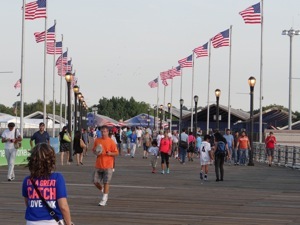 Also, many of the harbor walkways and some of the harbor facilities also remain intact. There's also a second structure [rest rooms] on Meadow Lake, which was built for the 1964 - 1965 World's Fair, and continues to stand to this day. And the Singer Bowl stadium is now a part of the USTA complex. It's more difficult to evaluate the 1964 World's Fair impact on American and NYC culture, in part because it's closer in and a part of the modern era in which we still live. But also perhaps because the changes of the early 1960's were more cultural and less tangible. In a manner similar to the 1939 World's Fair, which came just before world turbulence [WWII], the 1964 World's Fair came just before great national turbulence [race riots]. African Americans and women asserting their ethnic and gender rights [respectively] following the 1964 - 1965 NYC World's Fair, and the educated and cynical youth of America decided they didn't want to fight in other nations' wars. If the 1939 World's Fair was about science & technology and internationalism and an impending war. The 1964 World's Fair was perhaps the last major event where unbridled American optimism talked about in the Great Gatsby was on display. The emergence of pop and street culture, the re-emergence of battles for gender and ethnic equality, and a public struggle between the people and government officials over with a war the majority of Americans didn't want to fight laid the ground for a changed America. There are a few lessons we can take away from this segment of our report series, and use them to help us better understand what kind of deal, we the public, are getting in some of the proposed developments for Flushing Meadows Corona Park. When It Comes To Stadiums Size Matters. If a 23,000 seat stadium was inadequate for a ballpark in the 1950's, how long will a 25,000 seat stadium be good for soccer in the second decade of the 21st century? In upgrades and expansions, where will the land come from? Major League Soccer attendance already averages 19,000 per game versus 30,000 per game for Major League Baseball [CitiField has seating capacity for over 40,000]; and MLS attendance was up almost 1,000 per game making it the fastest growing major league sport in the nation. But National Football is still by far and away the king with an average attendance of 67,000 people per game. The Meadowlands Stadium has seating capacity in excess of 80,000. Why Can't CitiField Be Used By Both Major League Sports Franchises? 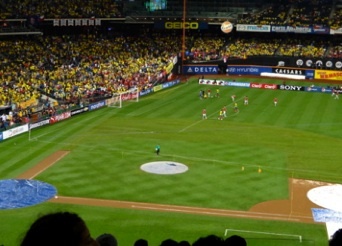 As you can see in the photo to your left, Ecuador and Columbia played professional soccer match at CitiField on August 15, 2012. This event was organized by MLS. Why is it necessary to build a new stadium on 13 acres of public land in the heart of the borough's biggest, and easily one of its greatest parks, for a second stadium? As history has shown, the Jets and the Mets peacefully co-existed using Shea Stadium for 19 years. Recent history has shown that park space in Queens is a valuable commodity. For example, it took the Jackson Heights Green Alliance and the Jackson Heights Beautification Groups two years [with a lot of effort by local government officials and a wealthy private organization] to acquire a 25,000 square foot plot [about one half acre] from the Garden School in Jackson Heights. The deal still isn't done and in the end the land will be shared between the privately held Garden School and the general public. Public Transit Capacity & Queens Government Officials. The #7 subway line is believed to have had 209 million riders in 2010 [cumulative fares by stations], making it the single busiest line in NYC [and only five other routes are busier & they accommodate multiple subway lines - eg. North / South eastside NYC with the #4, #5 & #6 subway lines]. It's worth noting that the #7 subway line is also one of the faster growing subway lines in NYC. In January 2013 numerous Queens government officials protested the MTA's methods of scheduling much needed maintenance and repair work on the #7 subway line. 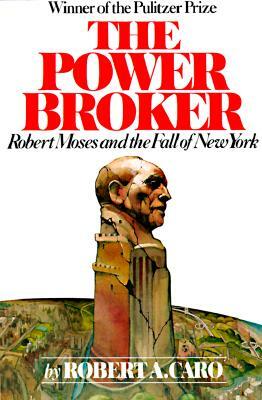 Robert Moses generally included the costs of NYC transit infrastructure in his proposals. The government officials and denizens of Queens must ask what kinds of strains will these new developments in Flushing Meadows Corona Park put on NYC's busiest subway line [the #7], and are upgrades for public transit and highways - if required - being factored into the public cost and quality of life tradeoffs implicit in these proposals? For example, how much more traffic would a 20 game season [half the games played at home] at a 25,000 seat stadium, bring to Queens existing subways and roads; and how fast will the new traffic demands grow? 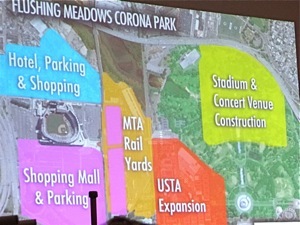 How much traffic will a new shopping complex in the CitiField parking lot add to the #7 subway line, the Grand Central Parkway, and the Van Wyck and Long Island Expressways? Expansion / New Stadium Deal Structure. Another question Queens denizens must ask themselves is how the deals for these expansions / new stadium will be structured. Robert Moses, representing NYC, and Walter O'Malley, representing the Brooklyn Dodgers, disagreed on the deal structure for a new stadium in the 1950's. Moses wanted to retain ownership of the land and share in the cashflow, while O'Malley wanted to own the land outright or secure a very long term lease. In structuring these deals, what valuation have government officials given to the 13 acres of land in the heart of one of the city's - and perhaps world's greatest parks - versus whatever land will be given in exchange? 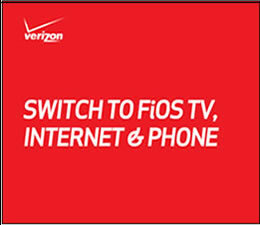 Other Options: More Jobs & Better Return On Investment. 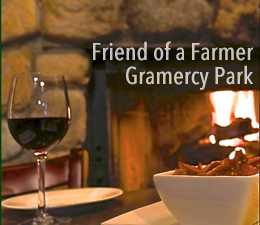 Is this what developing FMCP parkland is all about? Are other alternatives being considered for placing a sports facility on 13 acres of parkland in one of the greatest cities and the media capital of the world? For example, is there some other proposal of a similar nature - like a football stadium - that could provide a greater return on investment to Queens and the city. Naturally this assumes that Queens government officials and citizens believe that the public interest is best served by trading what proposal opponents believe to be the quality of life [open space / park land], for higher government tax revenue and jobs. In 1969, after only eight seasons, the Amazing Mets became the first expansion team to win a division title, a pennant and a World Series. They won the World Series in five thrilling games that many baseball fans still vividly remember. The Amazin' Mets 1969 World Series was used as the backdrop for a scifi thriller movie in the late 1990's entitled Frequency. And the last three games were played at Shea Stadium. By this time the power of Robert Moses - the city planner who moved mountains of ashes to create Flushing Meadows Corona Park - was in decline. 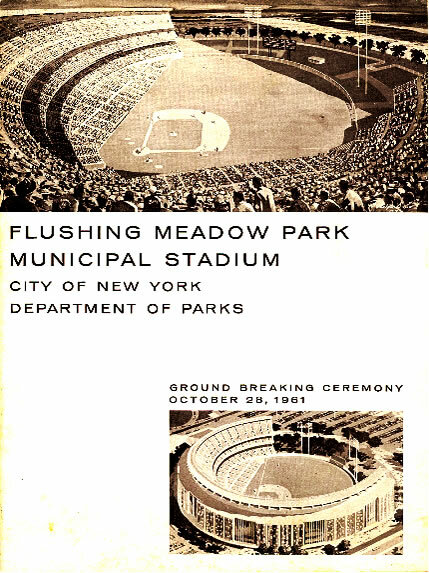 But Robert Moses dream for Flushing Meadow Corona Park, still lives on. In Part III of this series we will continue our exploration of the four development proposals currently being evaluated by NYC and NYS government officials for Flushing Meadow Corona Park. Click here to read Part I entitled Out of the Ashes Rises a Phoenix. And in the coming days or week, we'll post Part III of our series exploring the four proposed developments in Flushing Meadows Corona Park. Thanks to the Queens Museum of Art for providing access to their exhibits of the 1964 - 1965 World's Fair materials. Also to the heirs of Walter O'Malley who run the website walteromalley.com. Other sources include Forever Blue: The True Story of Walter O'Malley by Michael D'Antonio and The Power Broker by Robert Caro. We also used both Wikipedia and nywf1964.com to reference some of the facts and statistics contained in this report, some of which we cross referenced with a number of other sites. 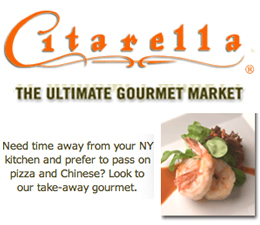 Click these links for promotions, discounts and coupons in Flushing, Corona and Queens. 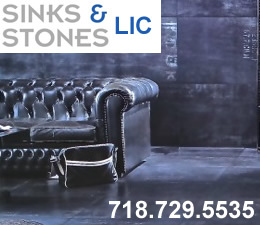 Click this link to go to the Flushing & Corona Neighborhood.